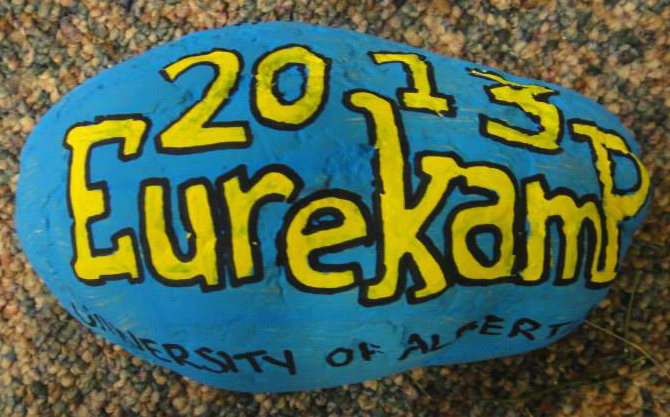 Eurekamp 2015 registration is open! Check out the brochure for all the deets and sign up! 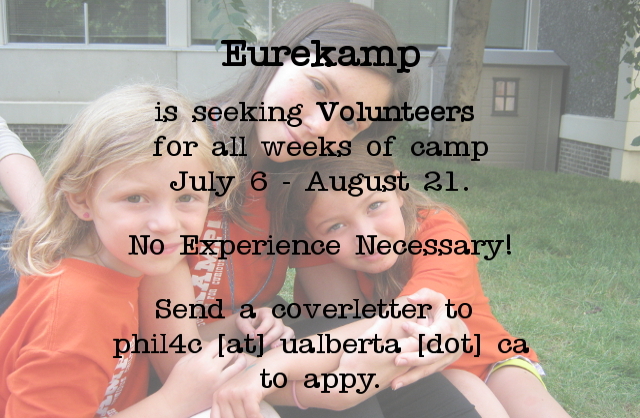 Eurekamp is seeking volunteers for the summer. Join us for experience in inquiry based education! Get in touch. Eurekamp was recently featured in the Edmonton Journal. Check us out! Interested in supporting P4CA? Check out this video for all the options!. Develop critical thinking skills, creativity, and caring communities through philosophical inquiry programs. Promote the Philosophy for Children Program as an exemplary method of achieving #1. This video provides an overview of our aims and objectives. Anyone interested in helping us fulfill this mission should	contact us to get started, or visit our Facebook Page to see what we've been up to. 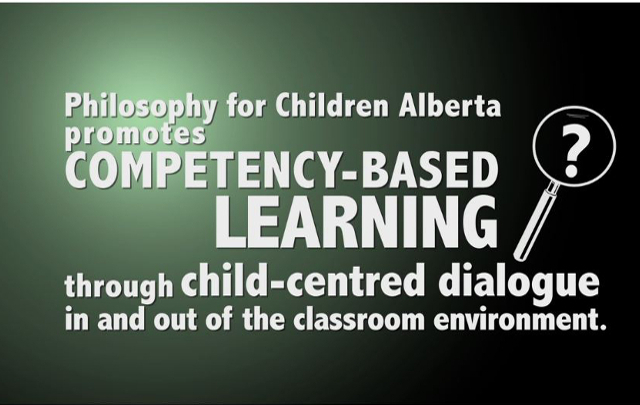 Philosophy for Children Alberta (P4CA) offers training and materials to assist educators in developing or augmenting inquiry based programs. The programming we support is collaborative by design and develops creativity and critical thinking. Ready to help your students ask better questions and answer them? Contact us. Philosophy for Children Alberta (P4CA) offers undergraduate and graduate students opportunites to get involved in the program through training, program design, program delivery, and administrative support, in both paid and volunteer roles. Students interested in introductory philosophy classes with a twist should consider taking Philosophy 101 classes run by Dr. Jason Taylor which incorporate a Community Service-Learning component. 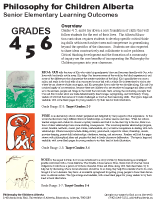 Originally modified under a 2011 U of A TLEF grant, the classes use children's picture books to introduce ideas, and the P4C approach to explore them. Interested students can read the feature article on one student's experience. You can take things further by becoming a trained discussion facilitator, a book module developer or editor, or join the Eurekamp team as a summer camp counsellor. Regardless of what training you participate in, we guarantee that it will be hands-on and active as we follow the principles of the philosophy for children program. Contact us and begin learning more now. Philosophy for Children Alberta (P4CA) offers a variety of resources, everything from recently produced materials to past news coverage. Choose the resources you are interested in from the list below. 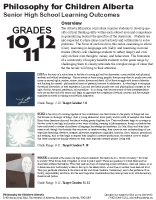 Materials created by the folks at Mount Holyoke (and co.) and the University of Washington's Center for Philosophy for Children. Eurekamp! offers week-long summer camps throughout July and August. The camps are presented to children in grades 1-9 and are a Philosophy for Children Alberta program. Developed in a collaboration between students and professional educators, each camp aims to engage children's curiosity by prompting questions through play. Inspirational themes are taken from disciplines such as math, science, language, drama, art, music, and ecology and are explored outdoors and indoors through experiments, games, adventures, and camper-led discussions. In each camp, youth build confidence, a love of learning through inquiry and play, and gain exposure to a world of ideas. Philosophy for Children Alberta is proud of both the number of people that are affiliated with its programs as well as the depth of their knowledge and experience. The brief bios shared below are just the tip of the iceberg for each and everyone of them. To contact them individually just click on their photo. To contact Philosophy for Children Alberta directly email phil4c@ualberta.ca or call (780) 492-3307 x4. Director, Rob Wilson. Rob has been a professor of philosophy at the University of Alberta since 2000. He also coordinates the What Sorts Network, exploring issues that arise from the question: "What Sorts of People Should There Be?". He is also the principal investigator of the "Living Archives on Eugenics in Western Canada", funded by Community-University Research Alliance program of SSHRC, working with sterilization survivors on eugenic history and its contemporary significance for human variation and disability. He joined Educational Policy Studies in July 2013, where he works on Engaged Inquriy. Program Coordinator, Jason Taylor. Jason graduated with a PhD from the University of Alberta's philosophy department in Spring 2012, and is currently teaching Philosophy. He has been with P4CA since 2008, and took over the P4C program coordinator position in September 2012. In this role he handles program design and delivery, web design, volunteer training and coordination, and school outreach programs. He likes to make things with his hands, recently having refinished a futon. 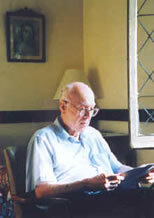 Senior Practitioner, and former program coordinator, John Simpson. John is an instructor with the philosophy department at the University of Alberta, Canada, and recently stepped down as the program coordinator to begin a post-doctoral fellowship in the digital humainties. John has been the director for Eurekamp from 2009-2012. Philosophy for Children Alberta is always looking to train new practitioners during our workshops, volunteer opportunities, and other professional development functions. The brief bios shared below are just the tip of the iceberg for each and everyone of them. To contact Philosophy for Children Alberta directly email philosophyforchildren@ualberta.ca or call (780) 492-3307 x4. Marnie Ferguson. Marnie is a teacher in the public school system who is finishing her MA in Counseling and Psychology. 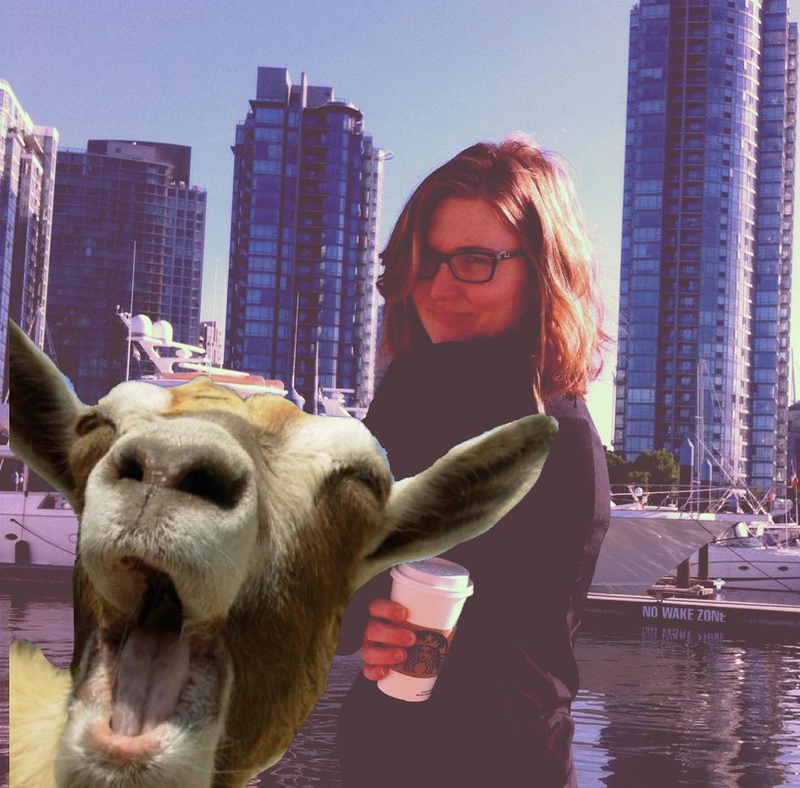 She currently works as a school counselor in two schools in Sherwood Park. She was a central councillor and program developer for Eurekamp in 2011 and 2012, but has been a crucial piece of the support team for Eurekamp since 2008. Lindsey Oak. Lindsey found P4C accidentally in 2013, and has been participating in multiple ways since then. She is involved in the CSL outreach program, has helped developed programming for our summer camp and generally spends most of her time thinking about P4C. Joey Shaughnessy. Joey was an undergraduate at the U of A before moving on to the Bachelor of Social Work program at U of C. After completing this program, Joey hopes to return to the U of A to get his Masters in Philosophy. Luke Kersten. Luke joined the philosophy department at the U of A in 2012 as a Master's student. He has helped with the U-School volunteer sessions, as well as November's philosopher in residence program at St Maria Goretti. Luke coaches debate and plays hockey. Vicki Anderson. Vicki first experienced Philosophy for Children in her Phil 101 class, and she's been helping out ever since. 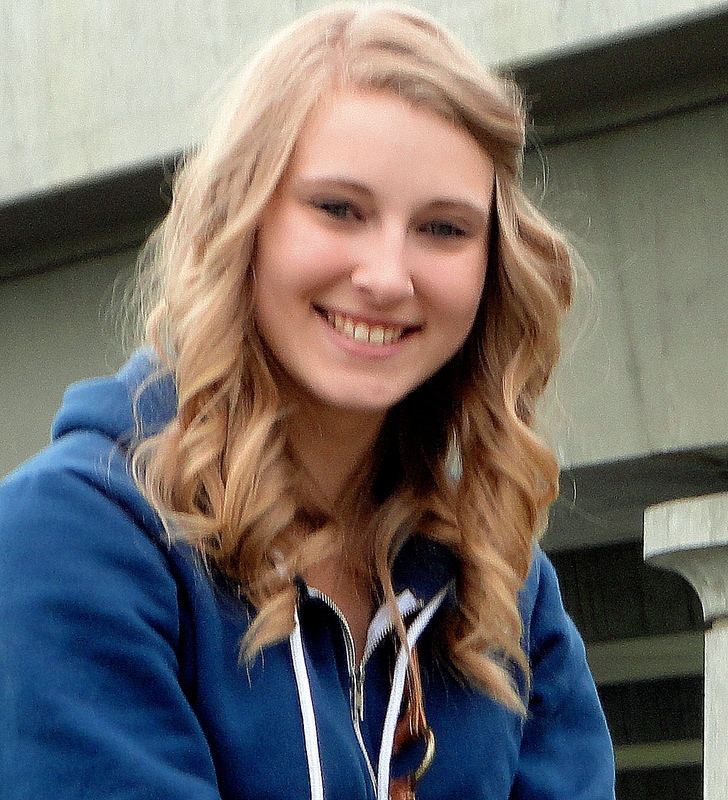 She is currently enrolled in her Bachelor of Social work at the University of Calgary (Edmonton Campus). You'll find her helping out in any way she can. 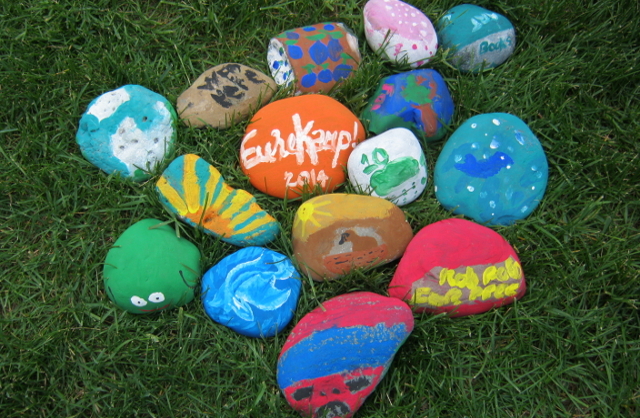 Here's a short video showing kids what Eurekamp is all about! Here's a short video explaining to parents what makes the Eurekamp unique! Here's a longer video explaining our bigger vision about education. Columbia University Professor Matthew Lipman was troubled by student riots during the late 1960’s, and by the lack of dialogue and dialogical ability among students and faculty. To help remedy this he wrote a philosophical novel--Harry Stottelmeier’s Discovery--to specifically help pre-college and university adolescents learn to reason and dialogue. As Harry Stottelmeir’s Discovery was piloted and found to improve critical thinking skills, Lipman became interested in writing more materials--specifically novels for children and accompanying resource manuals for teachers. In 1972 Lipman left Columbia University to pursue his work at Montclair State College (now a university). At Montclair Lipman was joined by Professor Ann Margaret Sharp who shared his vision of bringing philosophy to children. The Institute for the Advancement of Philosophy for Children (IAPC) was established at Montclair in 1974. Since its initial conception the Philosophy for Children program has grown rapidly due to its innovative approach and ability to build thoughtful, creative, and caring people out of the students who participate. The program is now active in over 60 countries and the core novels have been translated into over 40 languages. Learn more about it! The program has also received numerous awards recognizing its excellence. In 1986 Philosophy for Children was listed as an “Exemplary Program” by the National Diffusion Network of the US Department of Education, and was validated twice by that department’s Program Effectiveness Panel. In 1998 UNESCO’s Division of Philosophy and Ethics commended the program in a special report. And in 2001 the American Philosophical Association awarded the IAPC the prestigious Award for Excellence and Innovation in Philosophy Programs. The central pedagogical tool and guiding ideal of Philosophy for Children is the community of inquiry. With this tool students work together to generate and then answer their own questions about the philosophical issues contained in purpose written materials or a wide range of other resources. Thinking in the community of inquiry is critical, creative, collaborative and caring. In the community of inquiry students learn to respect, listen to, and understand a diverse range of views. The process of philosophical exploration in this environment encourages students to take increased responsibility for their own learning processes and to develop as independent and self-correcting learners. Students develop the confidence and intellectual courage to put forward their own views in a group. 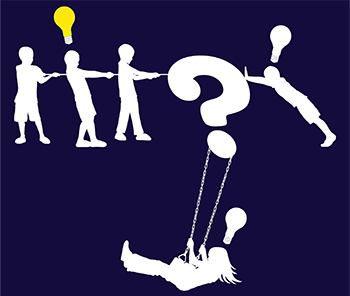 Participation in the community of inquiry develops higher order thinking skills in the context of meaningful discussion. In the Fall and Spring of each year we offer one or two Saturday morning workshops. Each workshop is hands on and fully immersive in the Philosophy for Children Program, meaning that you will learn to use the program by, well, actually using the program for yourself. After the four hours you will have been introduced to at least two of the core novels that make up the P4C curriculum, practiced each of the 5 steps in a "vanilla" implementation, seen a few possible ways to modify the approach to fit your situation, met members of the P4CA team who are willing to help you continue your journey with the children in your care, and have met others who are also just starting out. We are regularly told that this is some of the most fun, relevant, and immediately useful training offered to the education community. Don't believe us? Look through our calendar for the next workshop and see for yourself. Looking for something that fits your schedule? We offer customized workshops and training too. 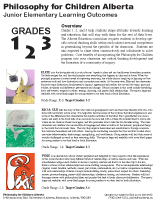 The IAPC publishes curriculum materials in Philosophy for Children for use in grades K-12. The curriculum is designed to engage students in exploring the philosophical dimensions of their experience, with particular attention to logical, ethical and aesthetic dimensions. Since their publication over 30 years ago these materials have been translated into over 40 languages and are now used in over 60 countries. The IAPC curriculum consists of novels for students and manuals for teachers. Each novel is about 80 pages in length and is written in informal language, without technical terminology. Each manual is about 400 pages in length and contains conceptual explanations for teachers as well as discussion exercises and activities that can be used to supplement the students’ inquiry. These manuals are indispensable for conducting dialogical inquiry. All materials relating to the Philosophy for Children program are available through Philosophy for Children Alberta. While we do offer these for sale we also maintain a lending library of all the available materials. With this library we are able to offer schools and classes the ability to explore the program in advance and on their own terms. In some cases we even have full classroom sets that can be signed out on an interim basis. In addititon to the IAPC materials we also hold a collection of materials relaed to other approaches to inquiry based learning and children's picture books with interesting themes ripe for philosophical exploration. Philosophy for Children Alberta has combined the IAPC material descriptions with the Learning Outcomes put forward by Alberta Education. 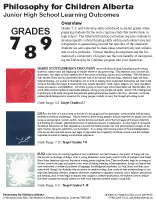 The resulting resources provide teachers and educators a quick glimpse of both the materials available for their classrooms and examples of how these materials fit with the curriculum standards they are currently working with. Please note that preschool and kindergarten materials are also available. Interested in seeing the approach in action? Wondering how (or even if) it will work with your group? Invite us in for a demonstration class and get a glimpse of what is possible. When invited we spend time talking with those responsible for the progrom in advance of the visit to gain a better understanding of group and the individuals that form the group. We are particularly interested in discovering topics or general areas of thought that the group might be interested in exploring. With this understanding in place we typically look to faclitate either one or two separate sessions lasting anywhere from 30 to 60 minutes. The general preference seems to be for two sessions because it allows for thoughts generated from the first session to percolate into the second. A second session also removes some of the special guest status that often hides individual behaviours that might otherwise be disruptive, allowing you to see how the program might help manage them. More information on our demonstration classes, workshops, and material pricing can be found in our most recent professional development listing. You might also be interested in learning more about our philosopher in residence program. Philosophy for Children Alberta holds a grant from the University of Alberta's Teaching and Learning Enhancement Fund. The program funded by this grant, Building Collaborative Communities for Critical Inquiry, introduce two important innovations in teaching and learning to the university. First, it pilots a novel, collaborative, community-based model for philosophical inquiry in two introductory undergraduate classes in the Department of Philosophy per term for each of 2011-12 and 2012-13. Second, through relationships with the Faculty of Education and Community Service Learning, the project will lay the foundation for extending this model of inquiry to a wider range of classes and subjects at the university. Through the University of Alberta's Community Service-Learning program the university students involved in the project are partnered with classrooms in local schools and groups of children in after school programs. In these partnerships our students act as philosophical discussion facilitatorsacross five visits over a term using an approach that takes the Philosophy for Children Program and addapts it for use with children's picture books. 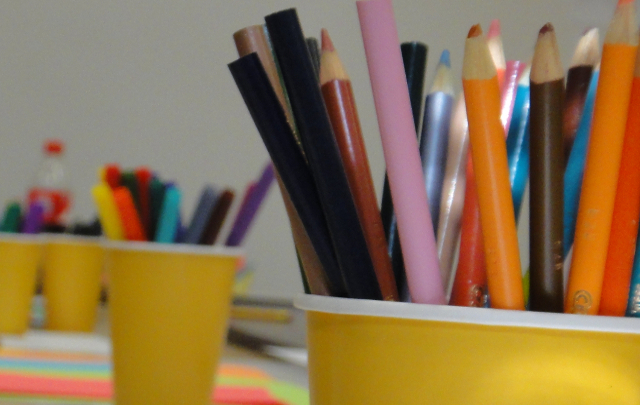 The facilitation method that they use in their classes mirrors the facilitation that they experience in their own class at the university, providing a fully immersive experience that is both engaging and rewarding. Interested in knowing more about the experience? The Faculty of Arts did a feature article on one student's experience in the program. For anyone serious about jumpstarting comprehensive learning and inquiry across the curriculum there is no better option available than our Philosopher in Residence Program. The program embeds two members of Philosophy for Children Alberta into a school for an entire week, providing all stakeholder groups within a school—students, teachers, parents, administrators, advisory boards, etc.—the opportunity to experience the Philosophy for Children Program on a first hand basis. A full summary that includes pricing is available for download. 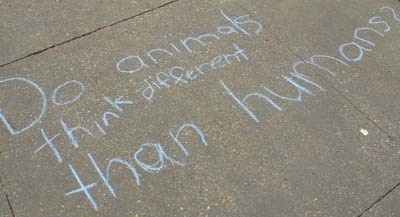 Philosophy for Children Alberta has been covered a number of times by a number of media outlets. Eurekamp was featured in the Edmonton Journal. Eurekamp 2013 as reported on by the Philosophy Department. Introducing Philosophy to Kids - Article recounting the experience of one student in the first year of the P4CA TLEF project.